The attack could take place between April 16 and 20, says Shah Mahmood Qureshi. Pakistan's Foreign Minister Shah Mehmood Qureshi. 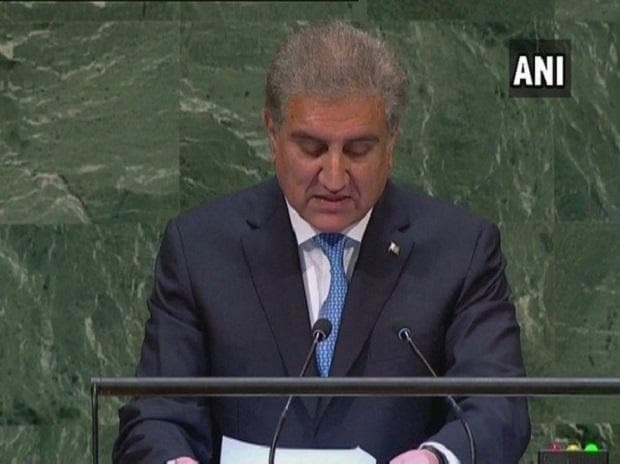 Pakistan has "reliable intelligence" that India will attack again this month, Foreign Minister Shah Mahmood Qureshi said on Sunday, as tension over a February standoff between the two neighbours had appeared to ease. A suicide car bombing by Pakistan-based terrorist group Hizbul Mujahideen in Kashmir’s Pulwama killed at least 40 paramilitary soldiers on February 14 and the risk of conflict rose dramatically on February 27, when India launched an air strike on what it said was a terrorist training base. "We have reliable intelligence that India is planning a new attack on Pakistan. As per our information this could take place between April 16 and 20," Qureshi told reporters in his hometown of Multan. India's foreign office didn't immediately respond to an email seeking comment. Khan blamed India's ruling Bharatiya Janata Party (BJP) for "whipping up war hysteria" over claims that India shot down a Pakistani F-16 during the February standoff.